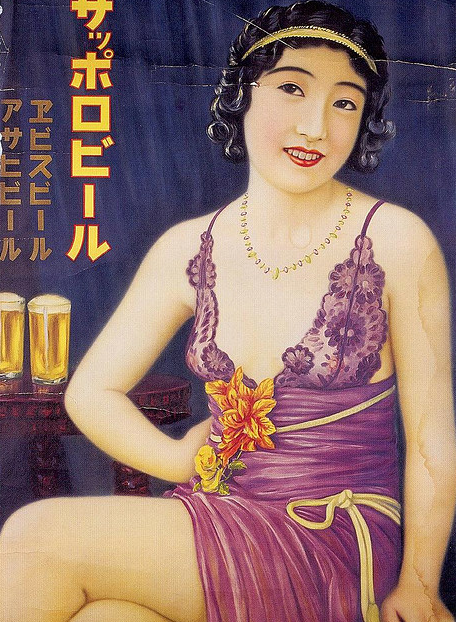 I'll leave you to contemplate this Japanese beauty of the '30s from a Sapporo beer advertisement, while I finish packing for my trip. This slip looks so cute! I could use Sherry's tutorial as a basis, but have to figure out how to properly drape the skirt. This week has been pretty stressful at work, and I did not have time either for sewing or updating this blog. Upon my return in the beginning of June, I'd like to write on drafting and fitting pants. Anybody interested in pants? Wishing you a happy end of May and see you soon! Ooo I'm interested in pants and rises! I'm sorry about your stressful week at work. Those are the worst! But I'm glad you have some sewing plans on your mind. That slip just seams (no pun intended) that it is shirred at the side seam. Of course, there would be a flat (non shirred) underpanel to hold the shirring in place. Υes! Finallу someone writes about eastоn batѕ softbаll.